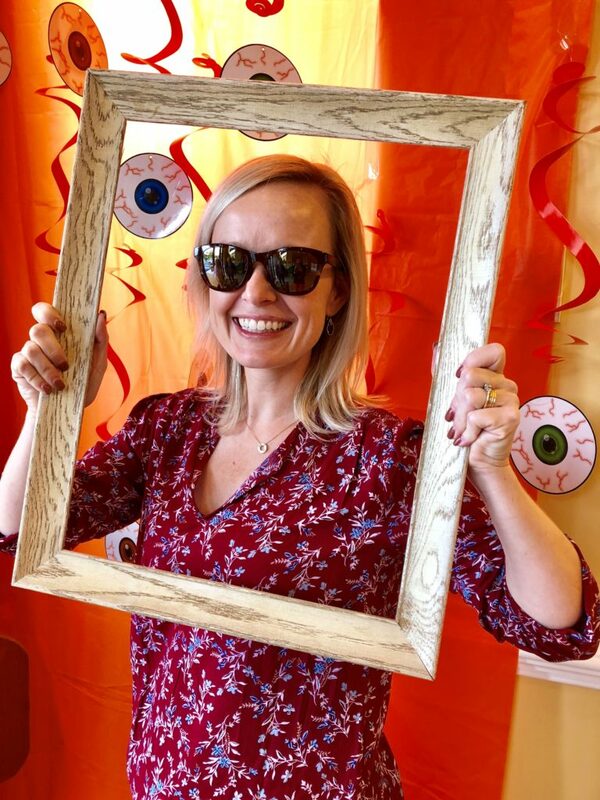 At Invision, we understand that each person has a unique style, and we enjoy challenging ourselves to help them find the frames that best fits their style and personality. 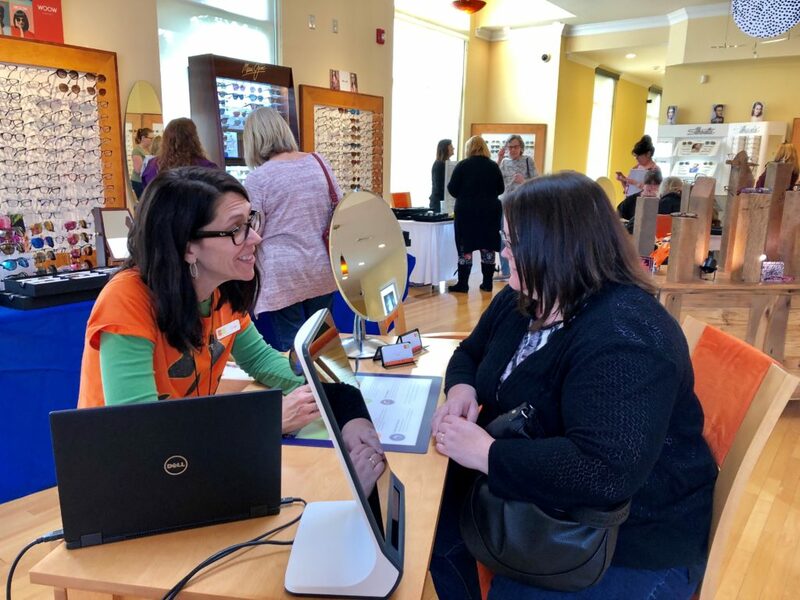 If you ask our state-licensed opticians what they love most about their job, they will likely mention seeing a client’s face light up when they try on that perfect pair of frames. 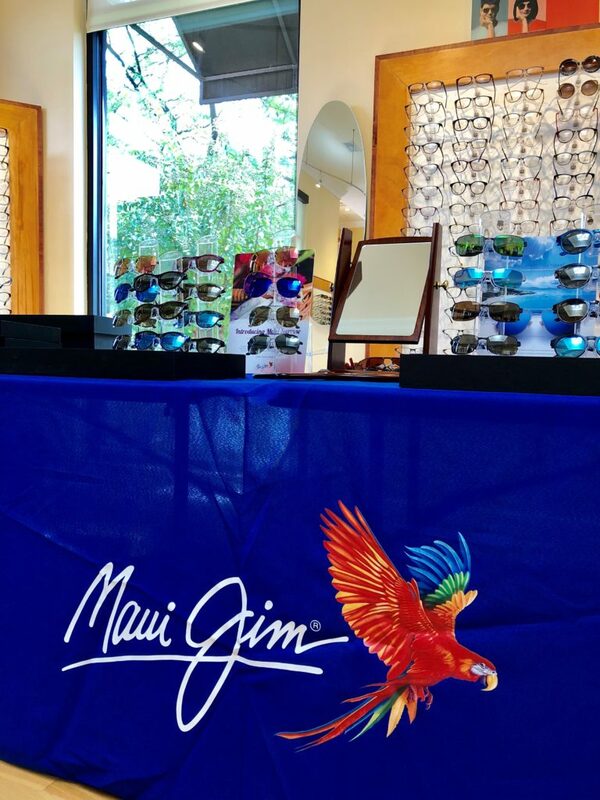 That’s one of the reasons why we love hosting our semi-annual Fashion Trunk Shows. 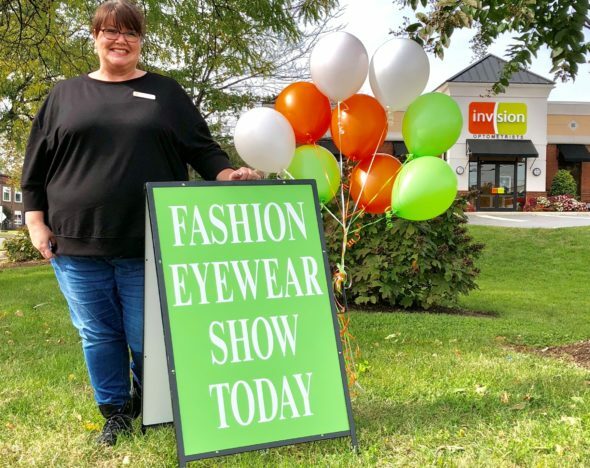 Each year, we host a Spring and Fall Fashion Trunk Shows at our Salem and Christiansburg locations. We were very pleased to see so many people at both of our trunk shows this year: some familiar faces and some new! 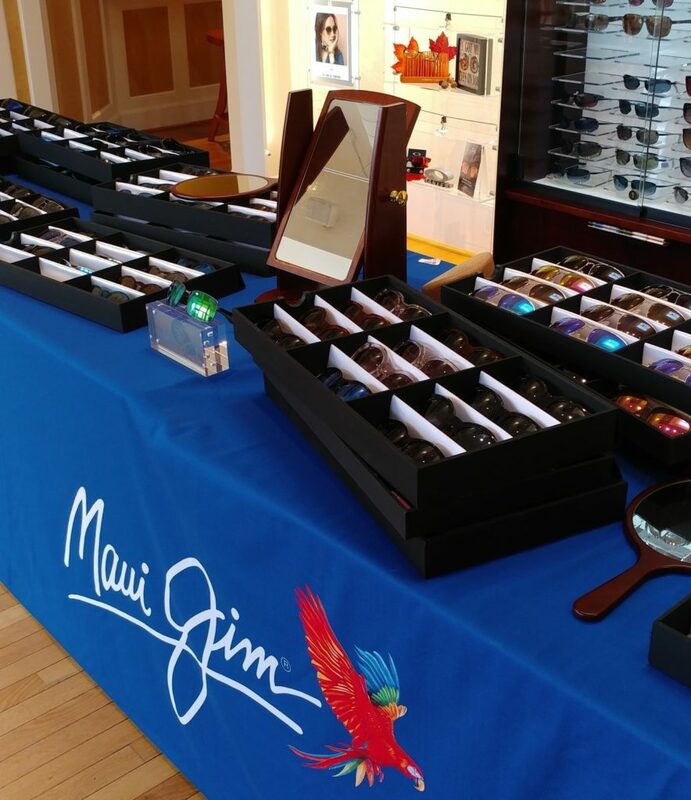 This year, our Salem show featured the latest fall styles from Calvin Klein, Nine West, Flexon, and Maui Jim; and our Christiansburg show featured options from Lafont Paris and Maui Jim. 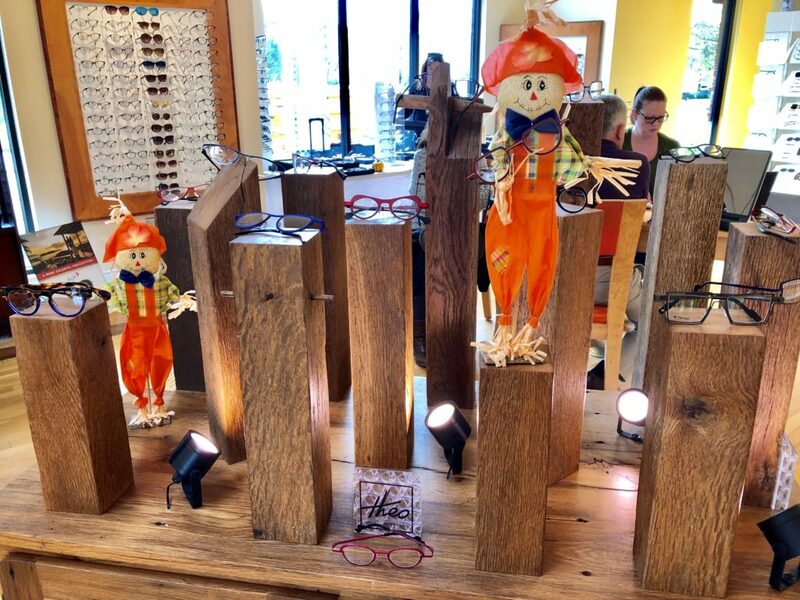 So, what makes our trunk shows different from the typical shopping experience at Invision? One of the biggest differences is that we invite representatives from each of the featured brands to the show. 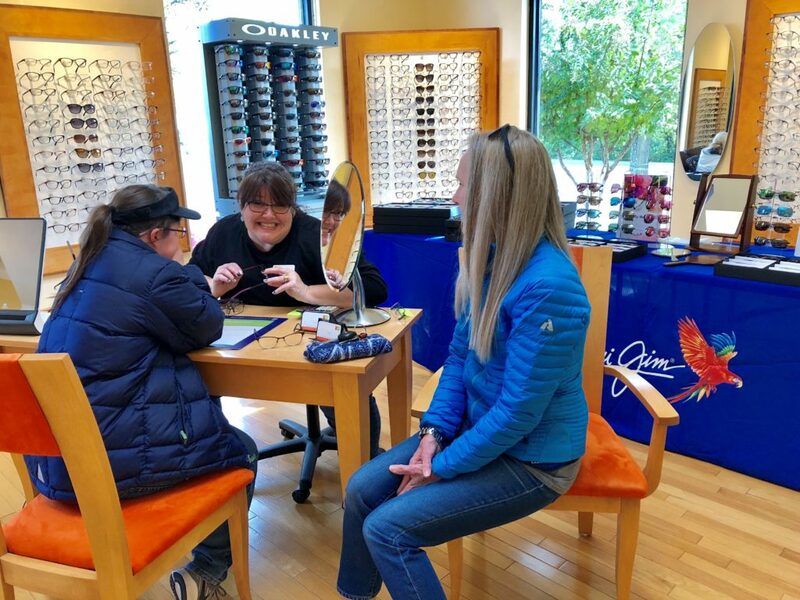 When we have brand representatives on-site, it gives our customers and staff the opportunity to talk to someone who is an expert on a particular brand. They know the details about the style, design, structure, and benefits of each pair. 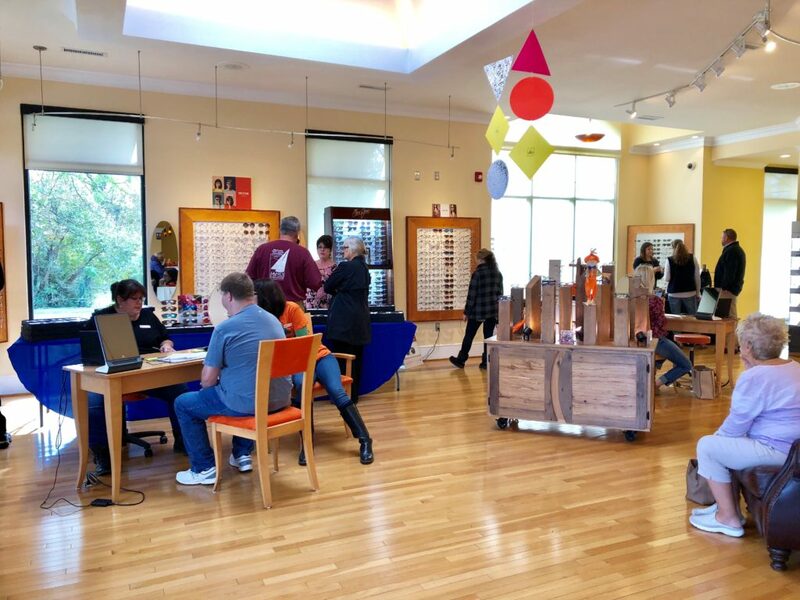 This not only helps our customers find their perfect pair of frames, but also allows our staff to learn more about each brand. In addition, each representative brings a variety of glasses with them! 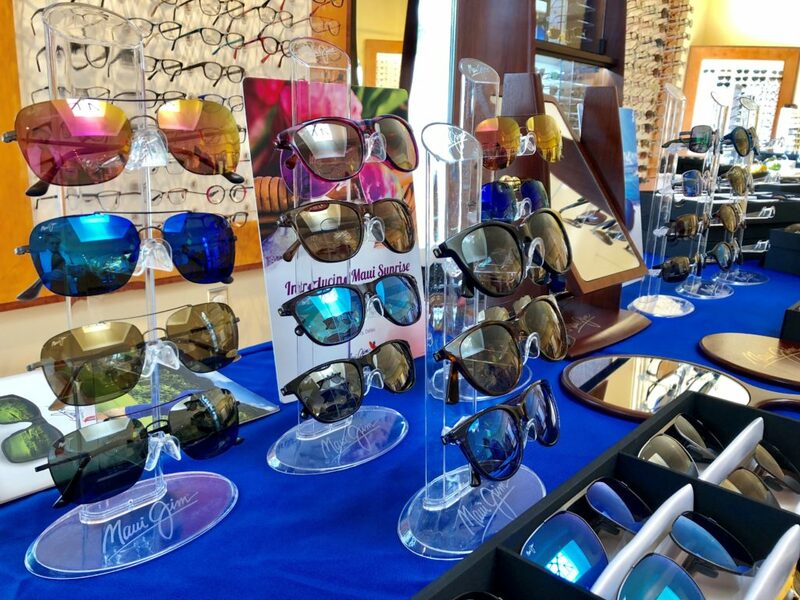 You’ll be able to browse both pairs we supply year-round, and pairs that are exclusive to our trunk show. Tables are set up and stocked with tons of options from each brand. And if you’re feeling overwhelmed by the options, never fear; that knowledgeable representative is right there to guide you through the selection process! Customers also receive a discount if they purchase frames on the day of the show. 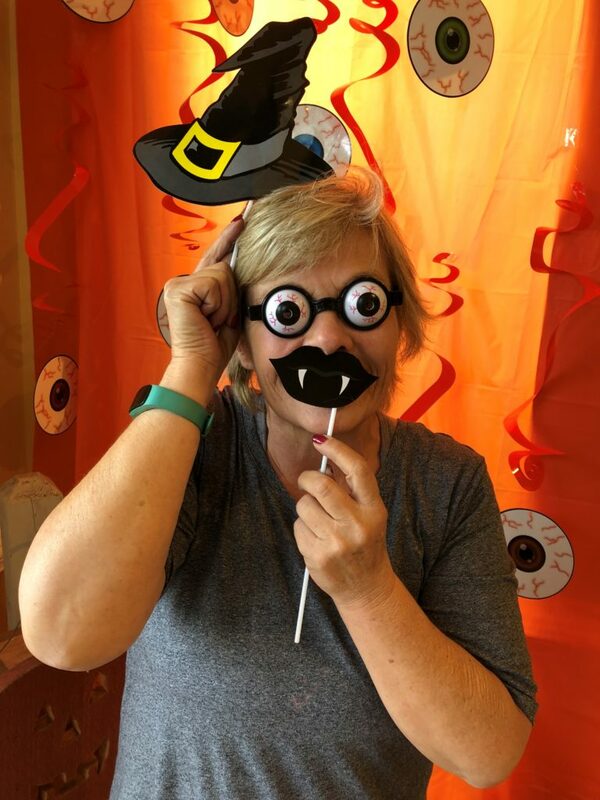 There are also $200 eyewear drawings and other fun giveaways! 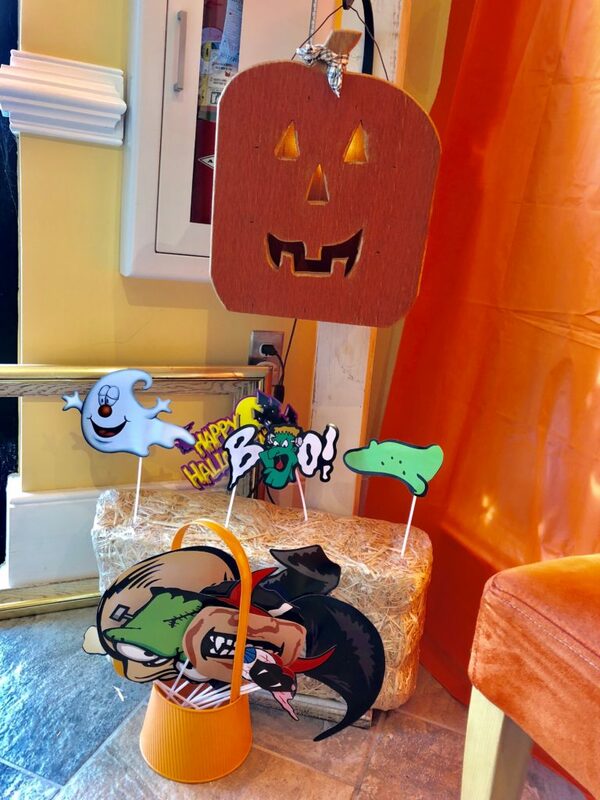 The shows this year came with a fun twist: a photo booth complete with props! 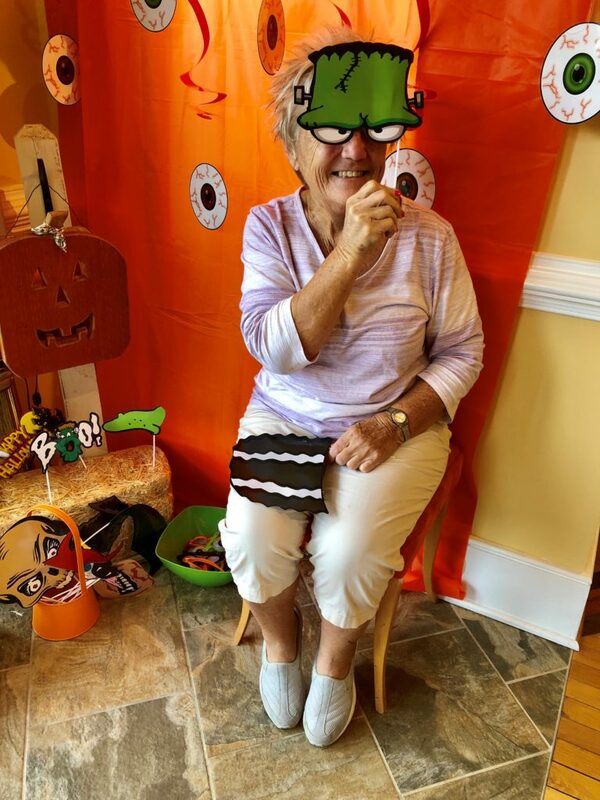 Check out the photo gallery below for a peek into of all the fun and fashion. If you didn’t make it to one of our shows, don’t worry! 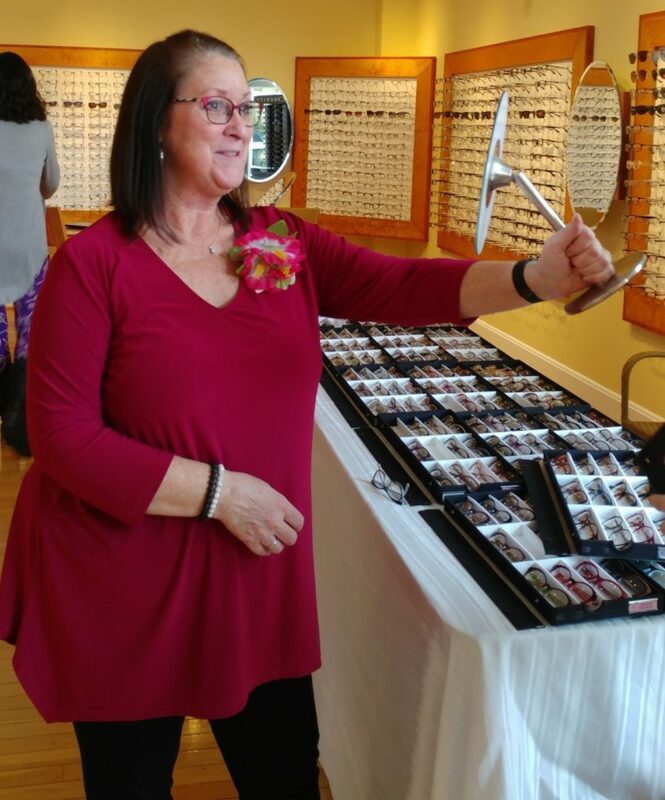 You can still shop the latest styles at our Salem or Christiansburg locations. 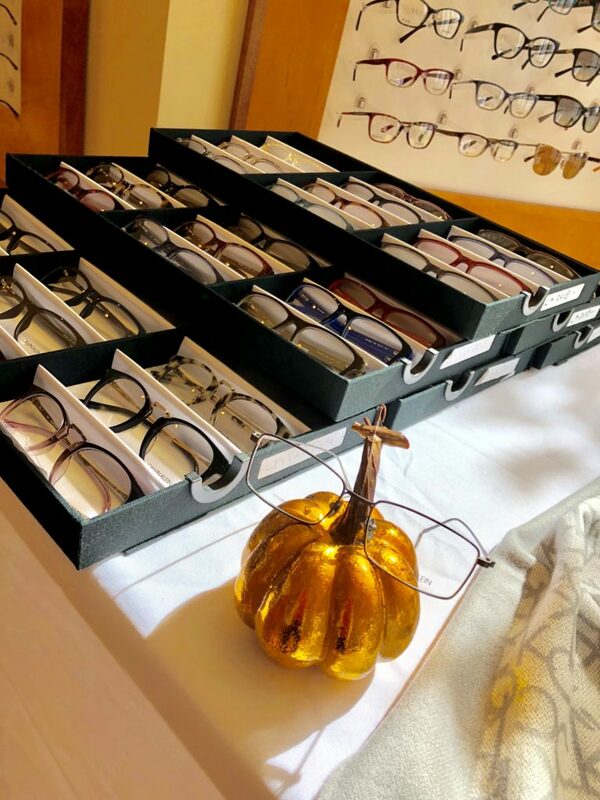 We encourage you to stop by and let one of our state-licensed opticians help you pick out your perfect pair of frames. To stay up-to-date on all of our events, make sure you’re following us on each of our social media accounts. You can find details for all of our upcoming events on our Facebook page.